Is This a “Good Photo?” I Think So…But It Means Something to Me in a Way it Wouldn’t for You. That’s, in Large Part, What Makes it “Good” for Me. What Might Make it Good for You? Context Maybe? I’ve spent most of my adult life puzzling over what “good” photography is, yet it’s only been in my later years that I think I have any real answer. There’s a reason for that, as I’ll discuss below. 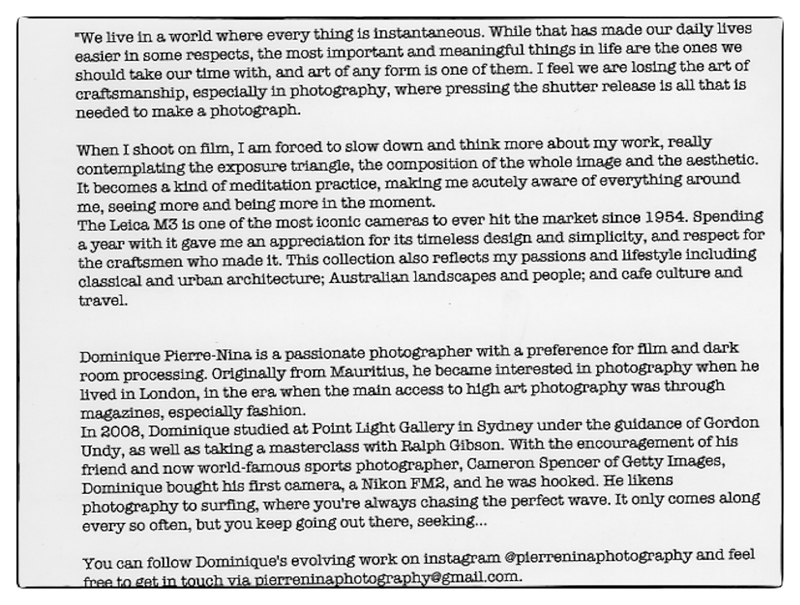 Photography, an art form accessible to most everyone, seems especially susceptible to muddled standards of valuation. The average photo enthusiast, the type who congregates on photo-specific websites and forums, typically falls into the trap of confusing technical competency with artistic merit. As you mature photographically, if nothing else, you should learn at least one thing: whatever creates the perfect photo, it isn’t simply technical excellence. To the contrary, the pursuit of technical excellence often hijacks creativity by directing your creative energies into focusing on technical mastery at the expense of individual expression. So, if we’re not simply speaking of technical excellence, then what? Aesthetic impact, contextual appropriateness, personal response, or some undefined mixture of the above? And who gets to choose? We all do, but some choose better than others, because they have a more refined aesthetic sense. This statement, standing alone, seems circular, but it isn’t. As I’ve written elsewhere, the 18th Century German philosopher Immanuel Kant (1724-1804) get’s closest to the truth with his claim that a person of wide knowledge and experience has a better basis to make aesthetic judgments. She’s seen more, thought more, reflected more, in the process refining her judgment and allowing her to better “see” a work of art by possessing a larger and more varied experiential foundation she can use to draw out the nuances pregnant in the work. Through her experience she has given herself the means to draw latent meaning from someone else’s work, work which, depending on the artist’s competency, allows a range of meaning. It’s a reciprocal relationship, the “best” photos possessing a range of latent meanings, meanings brought to fruition by an informed, cultured viewer. A Simple Little Book by Dominique Pierre-Nina. It’s Full of Beautiful Work. 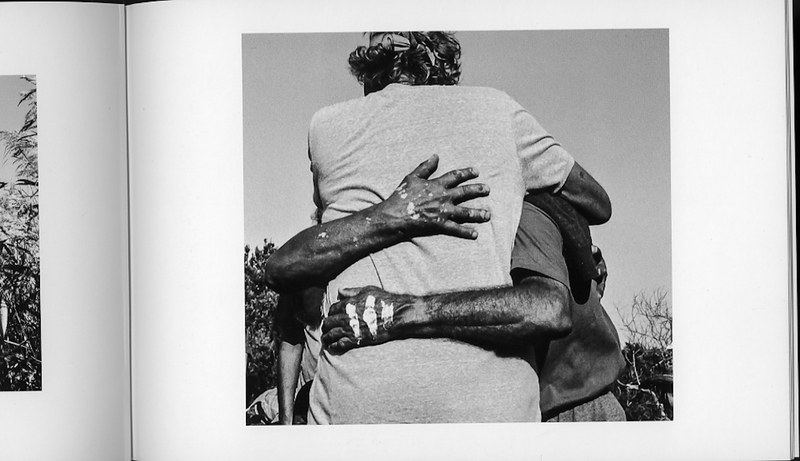 Above is the cover of a small book of photographs, a gift sent me by Australian photographer – and Leicaphilia reader – Dominique Pierre-Nina. Dominique sent me the book as a Christmas present, a thoughtful gesture of thanks for the enjoyment he’s received from reading Leicaphilia. (I encourage you to do something similar). 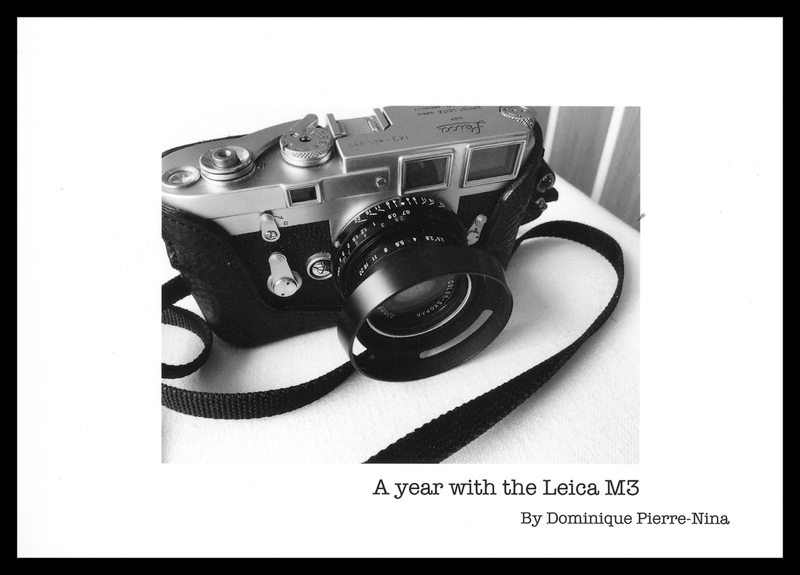 Dominique’s book “A Year with the Leica M3” consists of a written introduction and 38 B&W photographs. Sounds interesting, right? Some guy loves his M3 and wants to show others what he’s done with it. Given the parameters set by the author’s presentation, that’s the extent of what I expected, and there’s nothing wrong with that. Instead I found a holistic work of real effect, thought-provoking photos that work individually and collectively, clearly the product of someone who has learned the art of seeing the beauty in everyday things. The book is more than just a collection of individual photographs; Mr. Pierre-Nina has purposefully sequenced them (I assume) so that the impact of the work is a function both of the photographs as individual works and as one larger work created by the body of photographs sequenced and presented as a coherent whole. 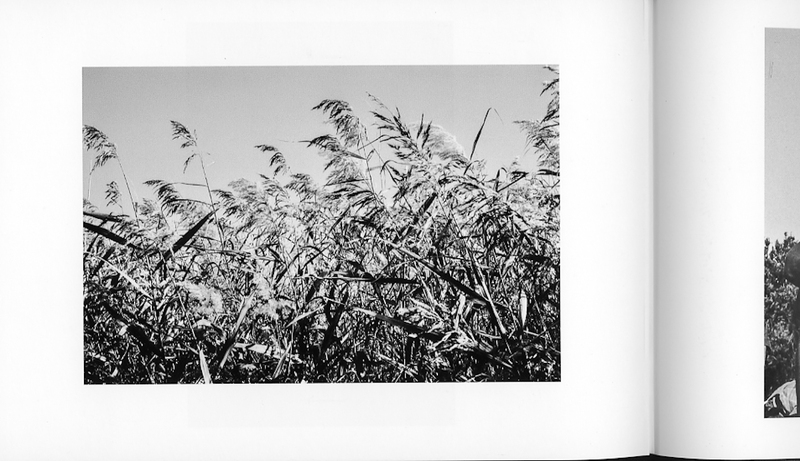 Many of the photographs would work as stand-alone works, studies in form and content. While they do so, they benefit from being placed within the larger context. The context here is that chosen by Mr. Pierre-Nina. 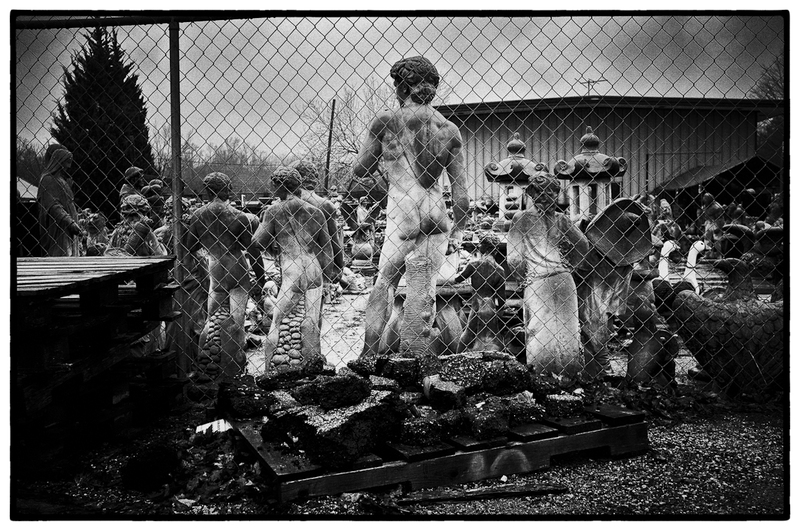 The context in which they’re been situated adds something to the work, something that’s not present in the individual photos themselves, no matter how interesting they are individually. Without context, you might no “see” their full content; with proper context, they transform from individual works to works engaged in cross-talk with other individual works, in doing so forming a larger coherent work, the book, the exhibition, whatever. It’s more than just content and context given by Mr.Pierre-Nina, however. It’s also about my receptivity to it. The Kantian critique above – the importance of the intellectual, emotional and aesthetic back-history that the photographer brings to the work – applies as well to the viewer. Visual art is always a two-way transaction between creator and viewer, its power the result of a reciprocal relationship between creator and viewer. The aesthetic value of any work will always be latent until recognized – better yet, discovered – by the awareness of the viewer. Mr. Pierre-Nina is lucky enough to have found an able viewer – in me. While I haven’t asked him, I’m certain he’s shown his book to others – family members, friends, a lover maybe – and been met with the polite patronization all gifted artists are familiar with. Why? Because the reciprocal relation necessary to its proper appreciation has broken down on the viewer’s end. To put it bluntly, they’re incapable of appreciating the work because of their own deficiencies. The photographer has done his job – the failure lies with the viewer, who hasn’t done his/hers. If, as I do, you agree with Kant, then both the photographer and the viewer have certain responsibilities in the mutual transaction of understanding and enjoying photographic presentations. Mr. Pierre-Nina can try to give you that context through words, or he could place them with a larger sequence where the sum of the work starts to explain what he sees as their meaning. In either event, assuming he’s done his part, you as the viewer need to bring to the interaction a basis of knowledge and an aesthetic sensitivity formed from that knowledge, to make them coherent. No matter how competent an artist Mr. Pierre-Nina might be (and a good part of that competency is presentation), you as viewer have the responsibility to draw the meaning from them. Which leads us back to Mr. Pierre-Nina. I don’t think he truly understands his photography – in the sense that I don’t think he can articulate via words what it might mean, what it might suggest to an engaged viewer. I’ve come to that conclusion after having first read his explanation of the work and then looking at the work itself. This isn’t a criticism of him. It’s a reality of the reciprocal relationship that creates the meaning of a creative work. His explanation, reproduced here, might tell you something of what he thinks about his photos, and that’s helpful to a certain extent. But it isn’t the final word. What Mr. Pierre-Nina thinks isn’t the end of the matter. What he thinks of his work doesn’t do it justice; it’s an impoverished understanding of what is truly remarkable work. If anything, this is a compliment to Mr. Pierre-Nina, a man who possesses an admirable humbleness about his work when in fact the work is exceptional. Really. Likewise with the photo that leads off the piece. Standing alone, it doesn’t say much. At best, you might agree that its “interesting”. It needs context to be more. That’s my role as the photographer, and I fail if I don’t give you the context to make sense of it. But you fail me if, as the viewer, you are unable to properly parse the latent meaning of what I’ve offered you, unable due to ignorance, inexperience, closed-mindedness, arrogance. What separates excellent work from simple pretty pictures can often be as much a result of what the viewer brings to the experience than does the photographer. This should tell you something: Be careful who you show your work to. Which leads me to my next subject – Immanuel Kant tells you How to Make Beautiful Photos of Ugly People – coming soon. This entry was posted in Aesthetics, Philosophy of Photography and tagged Dominique Pierre-Nina on January 20, 2019 by Leicaphila.